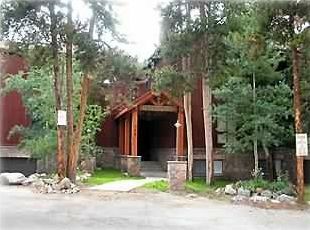 LUXURY 2 Bedroom/2 Bathroom Condo; Walk to Ski Slopes & Town! SNOWSPRUCE 19 AT BRECKENRIDGE... Beautiful two bedroom/two bathroom, luxury Condo. We offer internet access, a private hot tub on the deck; and our guests have access to the outdoor heated swimming pool, two indoor hot tubs and two outdoor hot tubs that are located just steps away from this beautiful home. Snowspruce offers family living in a mountain setting located in the 'HEART of Breckenridge.' Our beautifully furnished 1200 sq. ft. condo is ideally located just minutes from the Peak 9 Quicksilver ski lift and half a block to Main Street and town. The National Forest is just a short walk away, offering convenient summertime hikes along the network of trails. Hello, our names are Dan and Jean McKee. We used to be retired, but now we own two large preschools...they keep us busy!!! We love to ski and golf and Breckenridge offers the best of both....you simply cannot beat the winters and summers here; they are breathtaking! We chose Breckenridge because we have always loved the area....it is a great family location and we have always enjoyed having family here with us. We want to extend this family friendly feeling to our guests....we know you and your families will enjoy Breckenridge and our Snowspruce condo! Snowspruce is in a great location....a quiet cul-de-sac that is walking distance to skiing, shopping, dining, and town. We are close to the shuttle for acess to other locations. We have always enjoyed the fact that we can walk pretty much everywhere we want to go. We are walking distance to a world-renowned ski area; the Breckenridge Golf Course is a Jack Nicklaus design and offers spectacular scenery and challenges. Our condo is very centrally located to many actvities in Summit county and beyond. 47' cable tv in living room; both bedroom have cable tv. Ski/Snowboard rental shops located within 5 minutes of condo. Breckenridge Golf Course 5 miles out of town; other Mountain Golf courses are located not too far from condo. Outdoor heated swimming pool located 50 yards from Condo. All efforts are made to ensure tub working properly. Should the tub fail, please notify the owner at number provided. There is no charge to guests for use of the private hot tub. Guests have access to Pool/Hot Tub facilities located 50 yards from Condo.